Protect equipment motors, workers and products from harmful airborne dust and contaminants with bonnet style, vent cap style, sock style and ceiling vent diffuser style equipment protection air filters. 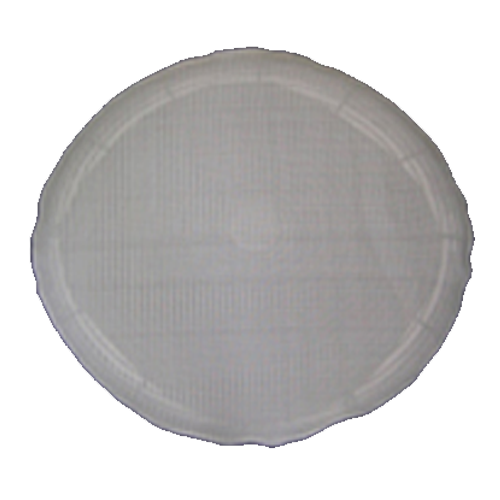 Available in a 3-dimensional styles for use on circular fan guards, vent fans, exhaust fans, or inlet or outlet vents to prevent possible contamination from dust, dirt, thread, lint, fibers and other irritating contaminates. BUILDINGS magazine selected PreVent Fan Guard Filters as an HVAC Fix – 2016 Money-Saving Product winner. 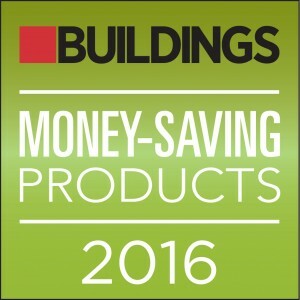 PreVent is part of an elite group of products showcased in the magazine’s June 2016 issue. These custom air filters contain one layer of washable electrostatic polypropylene media, black or white in color, custom sewn with vinyl edging, elastic cloth binding or sonic welded edges to fit over any sized air inlet or outlet. Approximately 1/8″ thick, our PreVent 3-dimensional custom air filters can be made in any size diameter, including over-sized for extra-large outdoor HVAC equipment including vent fans, exhaust fans, and more. Black polypropylene media is UV protected and can be used for outdoor applications. White polypropylene media is FDA approved for food processing applications and works well to meet AIB Food Safety audit and inspection dust collection and filtering device requirements. 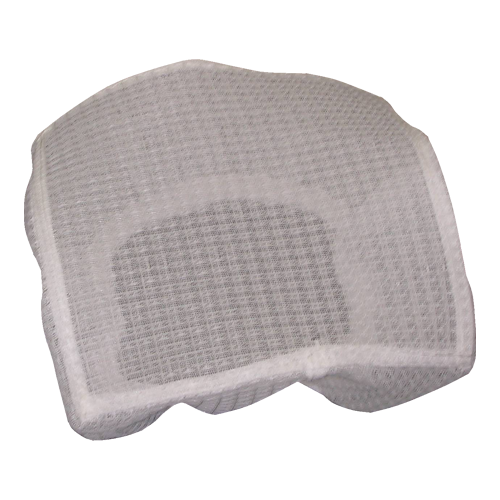 Additional media (nonwoven polyester or foam) can be added upon request to the filter configurations to increase arrestance efficiency. Pull tabs and drawstrings can be added for easy access or hook/loop closures for wrap around style filters. 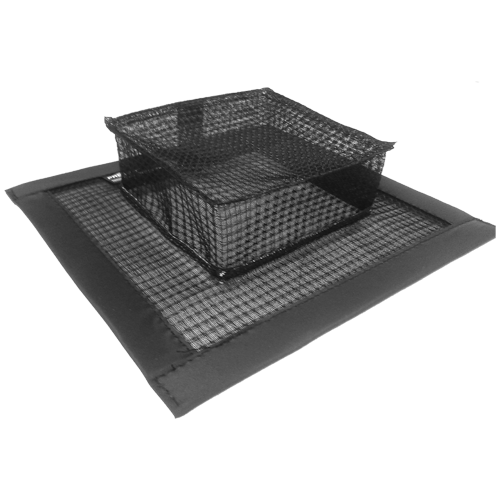 Model BONNET fits over the circular front side of a fan guard grill to stop dust and dirt from blowing out into the environment. Available in black or white polypropylene with elastic edging. 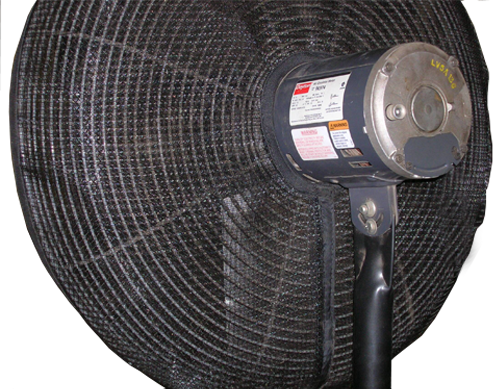 Model FANGUARD fits over the circular back side of a fan guard grill to stop dust and dirt from being drawn into the fan, features a center motor cut-out and hook/loop closure. Available in black or white electrostatic polypropylene with elastic edging. Model VENTCAP can be made square or rectangular to fit ceiling or wall vents, finished with an elastic edge to hold in place. Standard height is 4″, custom height available upon request. Available in black or white electrostatic polypropylene. Model SOCK is a drop down design for ceiling vents or rooftop exhausts. Available in black or white electrostatic polypropylene with elastic edging. Model DIFFUSER fits on a drop down ceiling vent diffuser held in place with a standard metal grid panel system. Vinyl edging contains magnetic attachment for easy installation and removal. Available in black or white electrostatic polypropylene. Flat faced vent diffusers can also be protected with our PreVent Model R filters with a rigid galvanized steel frame and magnetic stripping. PreVent air filters carry a 5-year warranty (extended warranty is available upon request). Protect workers, products and equipment motors from harmful airborne dust and dirt with 3-dimensional bonnet, vent cap, sock or diffuser style equipment protection air filters.